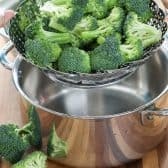 How to Steam Broccoli – Steamed Broccoli is a simple side served with butter and salt or the perfect addition to recipes like an easy, cheesy broccoli casserole. 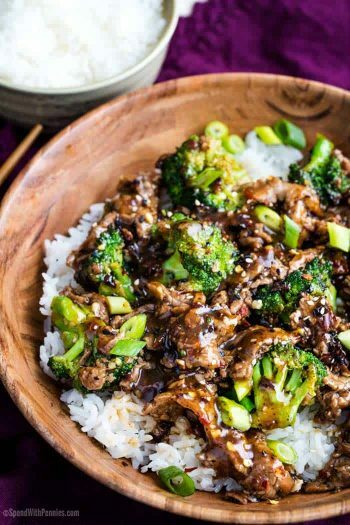 It only takes a couple of minutes to make steamed broccoli! Fresh broccoli has great texture and flavor compared to buying frozen so it’s always my choice when cooking broccoli. 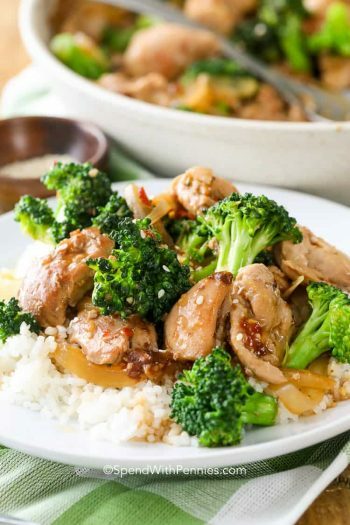 Broccoli is a super nutritious vegetable option and an amazing addition to just about any dish! Certain recipes such as Broccoli Rice Casserole require the broccoli to be lightly steamed before adding to the recipe. 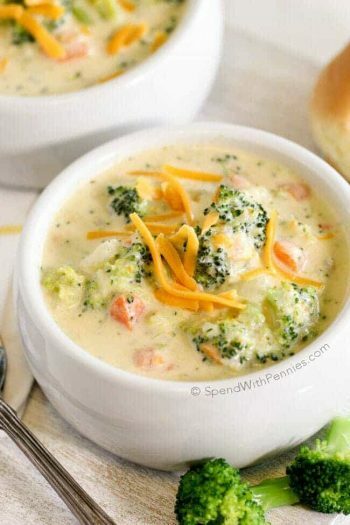 Steamed broccoli is deliciously tender crisp without being mushy making it the perfect addition to recipes or the perfect side dish with cheese sauce! Steaming vegetables helps preserve the nutrients. Steaming broccoli can be hit or miss for many people, as it is so easy to under or over cook it. 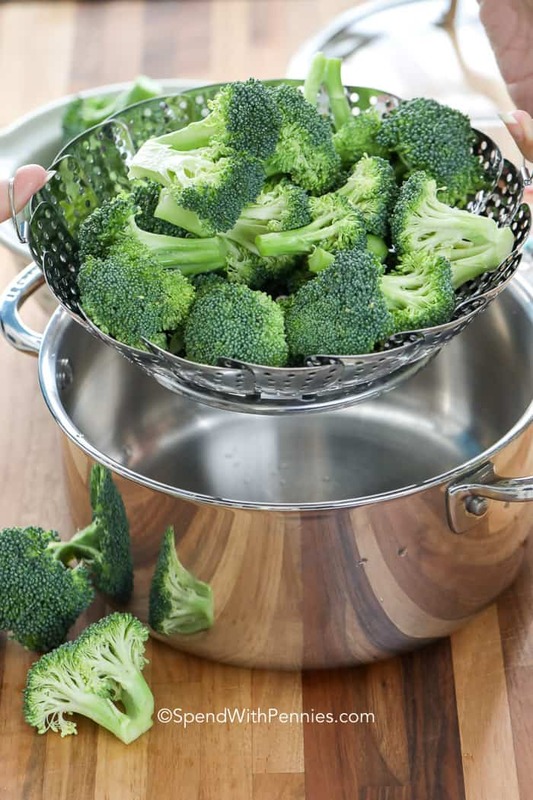 To steam broccoli on the stove top, start by adding a couple of inches of water in the bottom of a pot. 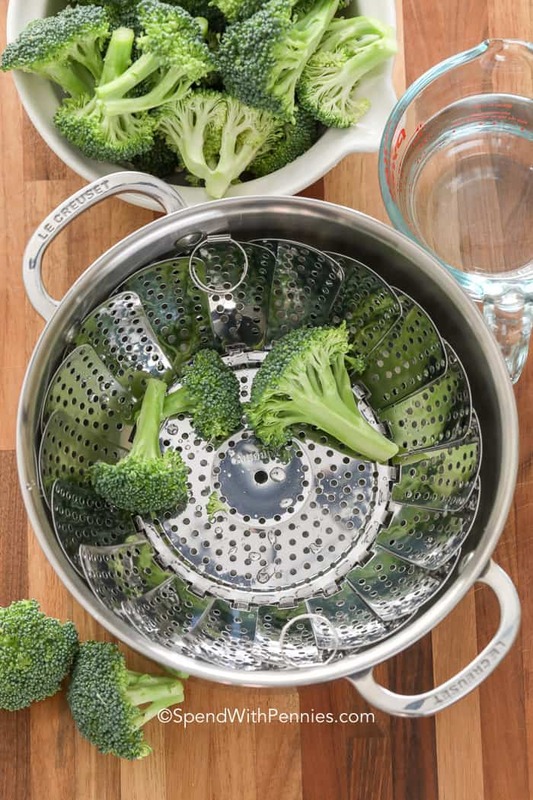 Place a steamer basket (or a strainer or colander that fits on top of your pot) add the broccoli. Bring to a boil and cover to allow the steam to build up. If you’ve never used a steamer basket, they’re inexpensive, easy to use and are adjustable to fit almost any pot size. When you steam broccoli, cooking it for less is more. When over cooked, it can become mushy and you’ll lose that pretty vibrant green color. Steamed broccoli should take about 5-7 minutes to become tender crisp. (Shorter if you cut it smaller). You can check if your broccoli is ready by inserting a fork into it to check how tender it is! Even one extra minute can cause the broccoli to overcook. Steaming your broccoli in a microwave oven is another great option. 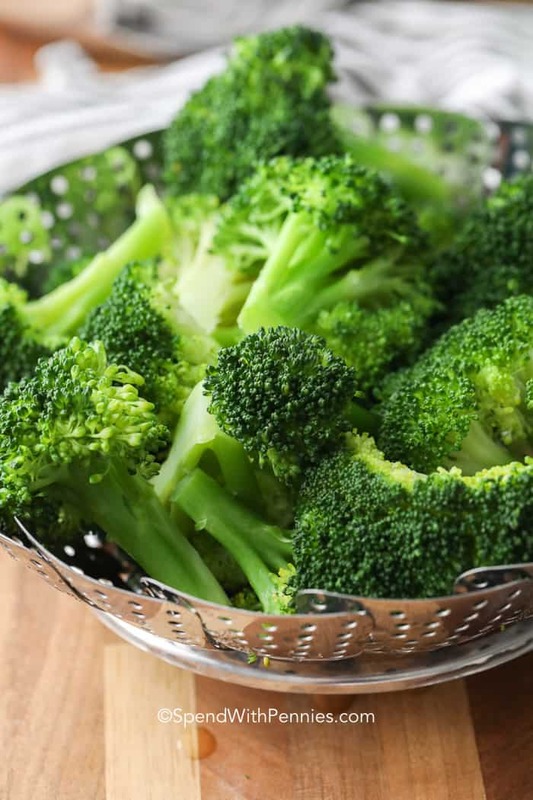 Add your broccoli florets to a microwave safe dish with about 3 Tablespoons of water. Cover your dish with a plate or loose fitting lid (do not seal tightly, some of the steam will need to escape). 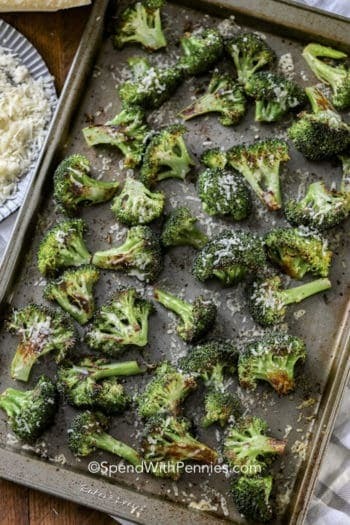 Steam the broccoli on high for 3-4 minutes. Check with a fork after 3 minutes to make it doesn’t overcook! Green Beans with Bacon – Easy! Easy Roasted Cauliflower – Prep ahead! Fresh broccoli steamed to tender crisp perfection. Place a steam basket or colander into a large saucepan. Add broccoli and enough water to cover the bottom of the saucepan. Cover and cook 5-7 minutes or until broccoli is tender-crisp when pierced with a fork. This recipe will still work if you do not have a steamer, simply add 1/2" water into the bottom of a saucepan.